Each wine favor measures 5.25” x 1.5”. 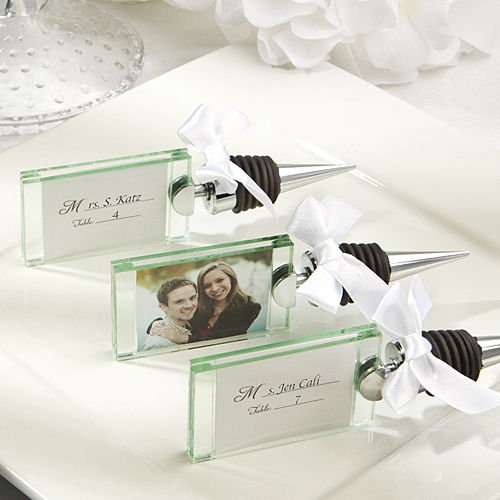 The top is a clear glass, two-sided photo/place card frame attached to the base by a sturdy metal half-moon-shaped fastener. The side of the frame is slit for easy insertion of a 1.75” x 1.5” photo, place card or both - back to back.